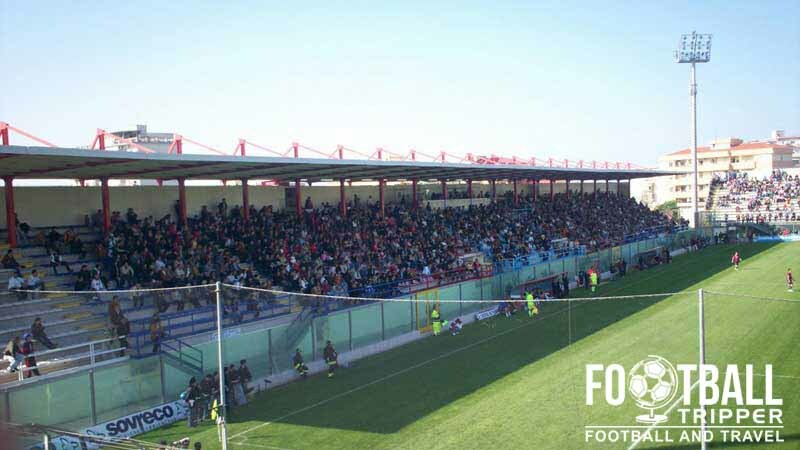 Stadio Ezio Scida is a 9,631 capacity stadium, located in the southern city and commune of Crotone near the sole of Italy’s boot. Home to local side F.C. Crotone since 1946, Ezio Scida mostly entertains matches from Serie B but occasionally hosts Amerian Football matches of ASD Achaeans Crotone. Construction on Stadio Ezio Scida began in 1935, however there are conflicting reports regarding when the stadium officially opened. Some sources suggest that the ground was delayed until opening in 1946 due to the onset of the Second World War, and others suggest that it opened just before the 1939. 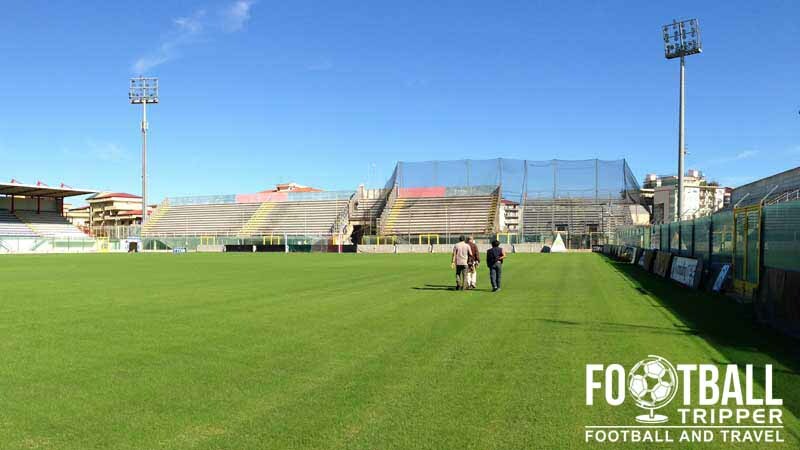 Located on a road named after John Paul II who was the second longest serving pope in modern history, Stadio Ezio Scida is named after a former footballer of F.C Crotone who died whilst travelling to Castrovillari for a friendly match on 19th January 1946. Reportedly the team bus overturned due to a slippery road surface, and the match was cancelled as fans mourned the tragedy. 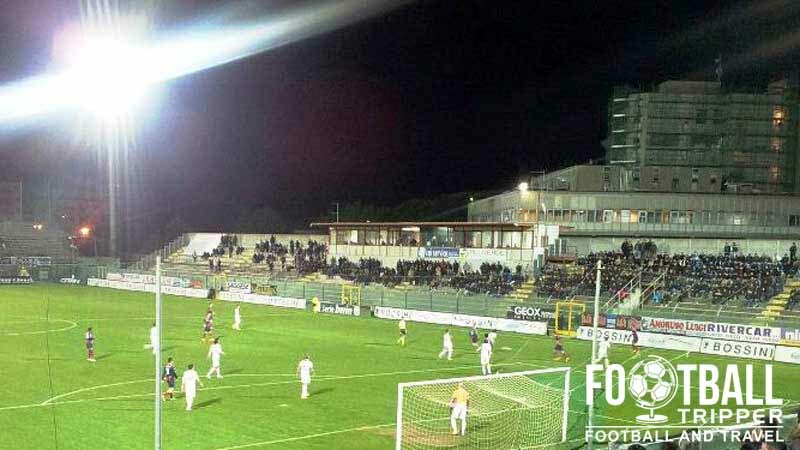 Until 1999 when large scale renovation work was undertaken to usher Stadio Ezio Scida into the new millennium, the stadium was only capable of accommodating 5,000 supporters per game. The expansion saw the creation of a new Curva Nord which was capable of seating 980 fans, and two large grandstands either side of the pitch capable of seating 2,500 and 2,329 fans respectively. 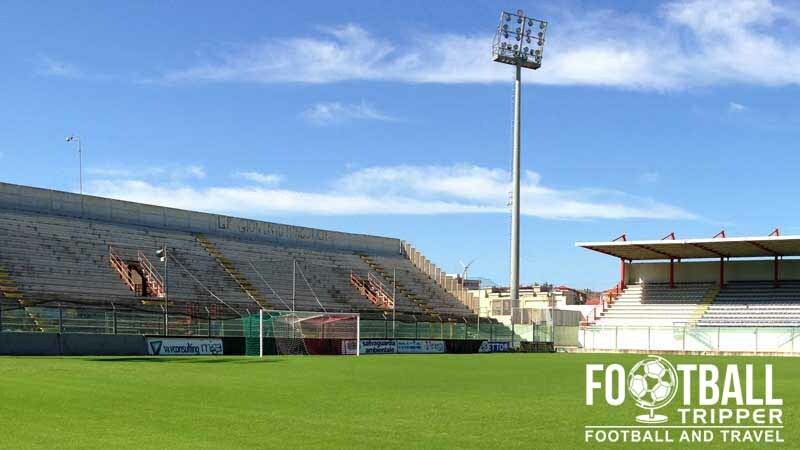 After Crotone automatically qualified for Serie B along with Siena during the 1999/2000 season the club essentially completed the stadium by adding a 2,940 capacity stand behind the southern goal end, the curva sud. This is named after fan Giorgio Manzulli. Stadio Ezio Scida has hosted one intentional match to date of the Italian B Team and Russia NFP on 28th November 2012. The game kicked-off at 12.00 pm on a weekday and was free for all to attend, which resulting in a record attendance of 10,000. Stadio Ezio Scida is comprised of four stands: North, East, South and West.